This week...is conference week. We are here until late...late...late. Today, we are hosting a baked potato bar for our classroom teachers. As a science teacher...I am seen as a specialist...ENCORE is what they call us! So...I have a few minutes to share what I have been doing this week in science...and to link up with a fellow science teacher... over at Teachers are Terrific. First graders are participating in a circus adventure. We start off with Circus by Lois Ehlert. We then move on to balancing for one minute on one foot and doing a graph in our science notebook. I made a pack specifically for our balance unit in FOSS and we used 4 activities from it. You can find it at the Science School Yard Store. We then worked on the balancing pencil trick...followed by the symmetry pictures...and a make and take clown balancer. Could we balance for one minute without wiggling? How is symmetry about balance? 2nd graders are working on wrapping up their FOSS solids and liquids pack. 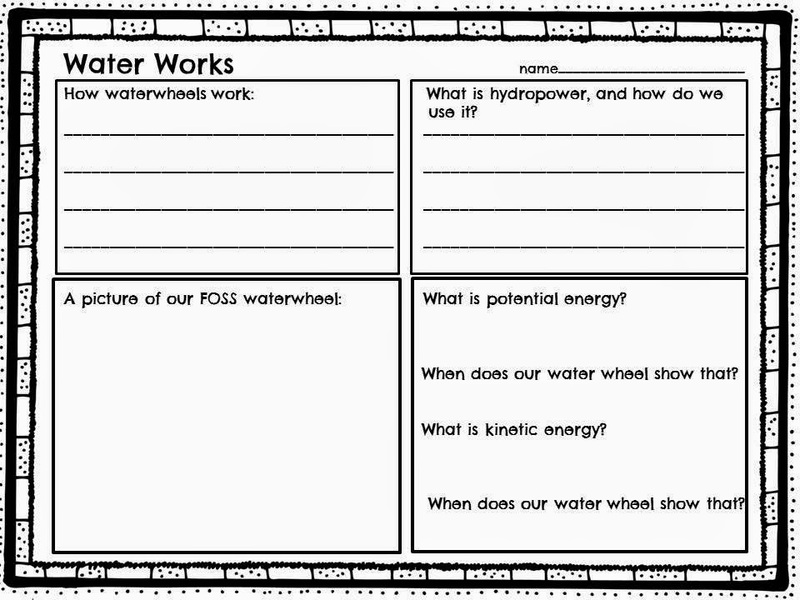 We used a sink and float book from EPIC which is great for teachers. Wonderful non-fiction science books! Then we did our sink and float sheet in our packet...followed by the lima vs. pinto bean competition. I make it a big deal...with a graph...winners have their hands raised as if they won something big...and we then figure if my game was fair. Such a better way to get them to remember why pinto beans always win...not just that lima beans are gross and shouldn't win. 5th graders are wrapping up the mixtures and solutions unit so we made our lapbooks and did our scavenger hunt using qr codes. We talked about the importance of studying and how to utilize a lapbook at home and in class. We shall see how they do on the test. It is documented for my Teachscape evidence. I will share the success rate using these study tools next week. Have a great rest of the week! Friday is payday! Oh my goodness Renee! You are doing so much! It must be incredible prep for you with all the grade levels! I just have three grades and it is hard. All of your activities look amazing! Thanks for linking up!